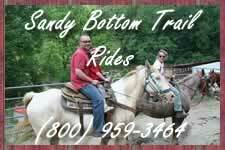 There are a wide array of accommodations, whether for a couple, a family or for a large group. Among the many choices you’ll find everything from very budget-oriented lodging up to deluxe accommodations. What you won’t find? National chains. Share Hot Springs with your friends! 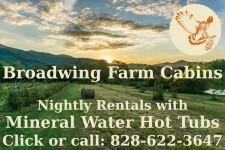 Hot Springs has a large selection of rental cabins, cottages and vacation homes ranging from rustic camping cabins to deluxe cabins and cottages with a full range of amenities. Some are right in town and others are out a few miles away from town. Whether you want to be in the woods or on the banks of the French Broad River or Spring Creek, there are lots of options. You won’t find any chain hotels or motels in Hot Springs but you will find distinctive properties reflecting the history of our town. Stay in an historic hotel in the middle of town, a 50’s-style motel locally owned and operated, or a small motor court on the banks of Spring Creek. Whatever you choice, you can walk out your door and explore Hot Springs on foot. Whether you are hiking the Appalachian Trail or are here for a weekend of adventure, we have a number of choices ranging from primitive camping, to drive up camping. For those who have their own accommodations on wheels we also have RV facilities with hook-ups, picnic tables and all the amenities. 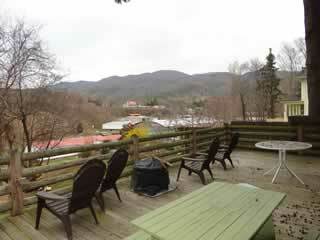 Accommodations both walking distance to downtown and out in the depths of nature. Always an eclectic category of lodging, bed and breakfasts in Hot Springs are no exception. You’ll find historic facilities with interesting and rich histories and others more recently created offering exceptional views and other amenities. So take a minute and see what Hot Springs has to offer. In addition to being great budget accommodation, hostels are a great place to meet other travelers and share in community. Whether you’re hiking the Appalachian Trail, or passing through and want to broaden your horizons, try the several hostel offerings you will find in town.